Section-Z original NES Nintendo Game cartridge only - Cleaned Tested and Guaranteed to Work! Section Z is a port of an arcade title for NES! I recommend reading about the game on gamefaqs.com, as it can be pretty confusing. The game features a large maze-like world. Very fun shooter! 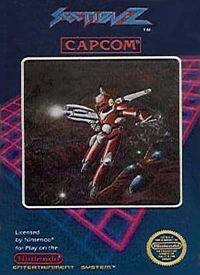 Anyone familiar with Life Force, R-Type, Gradius, or even Galaga may find some solace in Section Z, though by comparison, it it the least effective space shooter of the bunch. 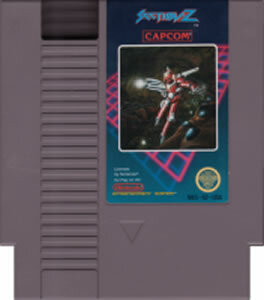 The player controls a lone astronaut sent to infiltrate an Earth-orbiting satellite; he must delve the 26 aptly categorized "sections" until finally reaching "Section Z", the final boss, and the end of the game. The gameplay is a bit monotonous, as many of the "sections" are simple color swaps and retain much of the same, subterranean design. Like any game, the vitality of the enemies increases as the game progresses, and the player must be equally as vigilant to get through them. Like R-Type and Life Force, different weapon upgrades and powerups are available on various levels and after defeating various enemies. For the price, Section Z is a great find, and has excellent replay value. The game can get a bit long, however, so the lack of a save feature may prove frustrating in the long run. 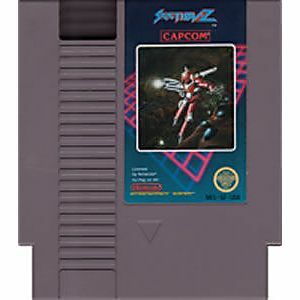 Overall, though the game is more of a cult favorite in comparison to the more prestigious space shooters such as Gradius and Life Force, it is still a nice addition to any NES collection.